I've been having so much fun playing in the snow this past week. I was really looking forward to even more snow this week but Mom said the forecast changed to 2-4" of snow. I have to say, I'm kinda disappointed. I love running through the snow and going with Mom when she plows snow. She says she very happy with 2-4" of snow. My one doggie sister loves to climb up the snow piles Mom makes at home. I will have to have Mom take a picture of my goofy sister on the snow piles. She thinks she's queen of the snow hill. I haven't really liked the bitter cold, though. Even if I do have Husky in me. After I go running around outside, I jump on Mom's lap to dry and warm up my feet. She always asks, "Do you mind?" I don't mind at all. We we have lots to tell you this month. It's a short month and that makes us closer to Spring! To celebrate, we have our new Spring fabrics out! 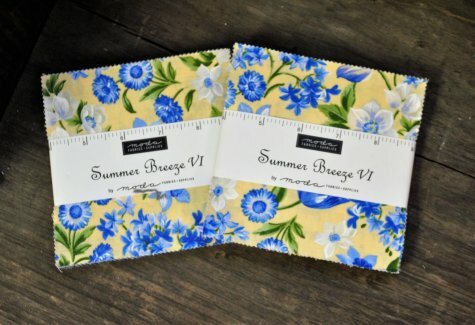 We have Moda's Summer Breeze VI fabrics, Henry Glass, Timeless Treasures and Free Spirit Spring fabrics. We also have some new car, blenders and landscape fabrics in. Moda's Summer Breeze VI charm packs have also arrived! 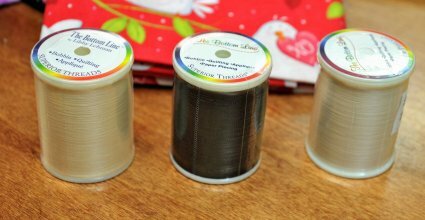 Some of you have asked for bobbin thread and we always try to get in products our customers are looking for. Bobbin thread has arrived in the Shop. Bottom Line thread by Superior Threads. 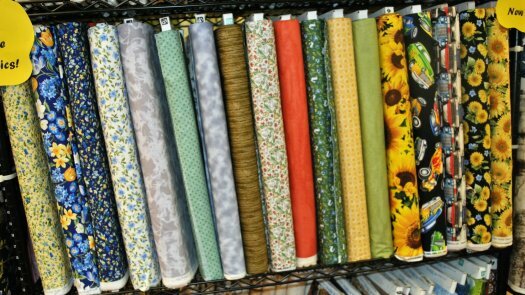 Perfect for bobbins, paper piecing & applique. Natural, black and cream are in stock. 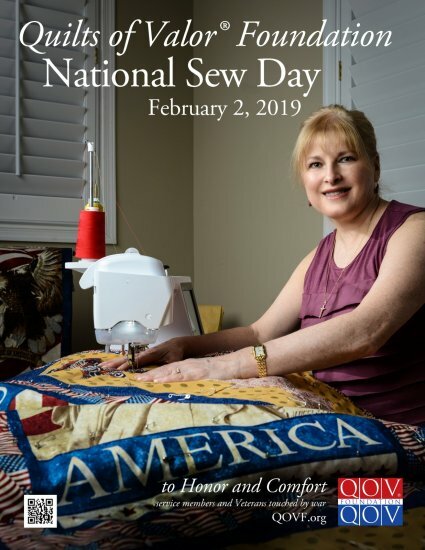 Saturday, February 2,2019 is Quilts of Valor Foundation Sewing Day. If you click on the above picture, it should take you to QOVF website. To help celebrate, we are taking 18% Off all Patriotic Fabrics on Saturday, February 2nd. February 4th-14th, 2019 take 14% Off Pink, Red & Valentine themed fabrics. to make the block using rulers and tips. Free refreshments and Door Prize. tensions and other tips to help you keep your sewing machine happy. That's all I can think of today. I think I covered everything. It's starting to snow again! I have to go out and play in it. Maybe Moda will go out and chase with me. Plus, it looks like Mom is going to have to plow. I have to decide if I want to nap or go out and help her. Have a great week and stay warm this week!